Thank you again for this incredibly generous contest, it was a lot of fun! @summerskin, all three of these pins are absolutely gorgeous. Thank you so, so much! 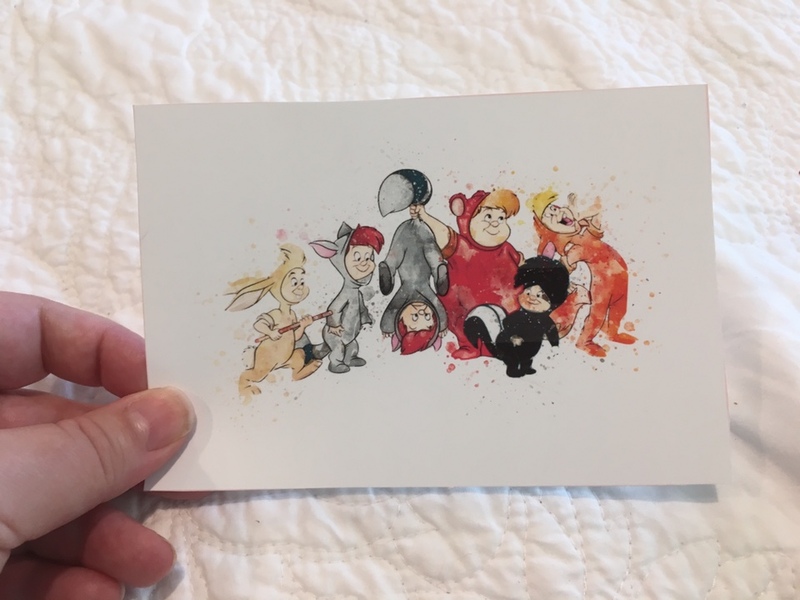 I love the little Lost Boys art you included, as well! summerskin, pretty Omi, Ajk and 3 others like this. What a sweetheart - not only did I receive my cute pin but some magnets, badges and candy too! Thank you so much!!! Thank you very much @summerskin! You are a superstar. You are a superstar!!! Got mine today. Not only was there a pin and a card. But there was a mystery tsum figure that ended up containing Sally, and two Lindor truffles that disappeared before we could photograph them. Squirrelly little things... thank you so much. summerskin, pretty Omi, TheMickeyMouseRules and 2 others like this. I got the pin and a pretty great Stitch figure that I've gotta find a nice place for in my house. Thanks so much, @summerskin ! summerskin, pretty Omi, TheMickeyMouseRules and 1 other person like this. Thank you again for spreading festive cheer! 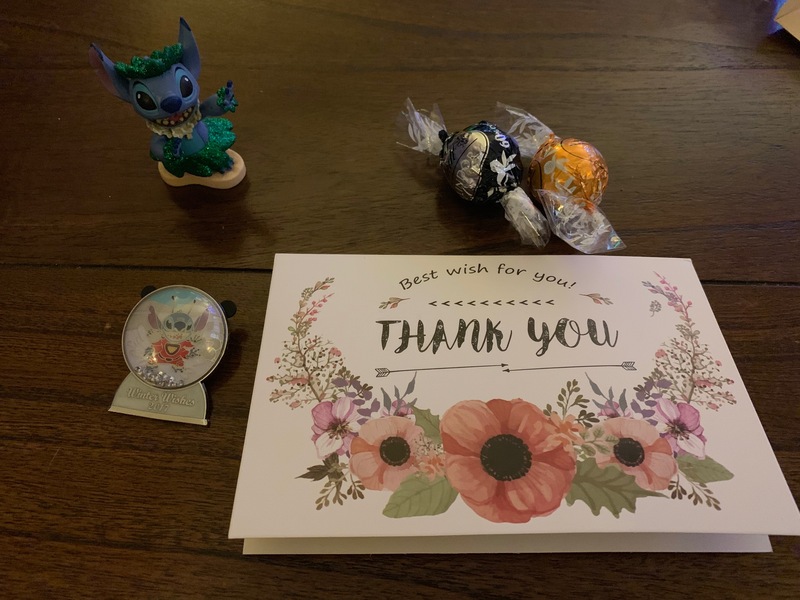 It was delightful to receive not just a new pin but a beautiful hair comb and yummy chocolates as I was finishing the last of my work before the holiday. @summerskin thanks you the prize. Greatly appreciate your thoughtful gift. Thanks for the Mickey hidden in the package. summerskin and TheMickeyMouseRules like this. My pins arrived today as well. I was like "who is this package from" and it wasn't until I opened it that I remembered we had some special pins coming! Thank you again! I'm glad packages are arriving for you all. I've been marking off who got them. It's so fun to see them arriving. Mine did come, but I haven't had a chance to open it yet. It will probably be opened with the Christmas presents tomorrow! Thank you again! Mine did come as well, but with Christmas and everything, I haven't had the chance, yet, to even open it. Thank you again, @summerskin, for your generosity. Along with my awesome new Chernabog pin, @summerskin sent along a beautiful card (Thank me? Thank YOU! ), some Lindor truffles (YUUMMMM, love Lindor!) 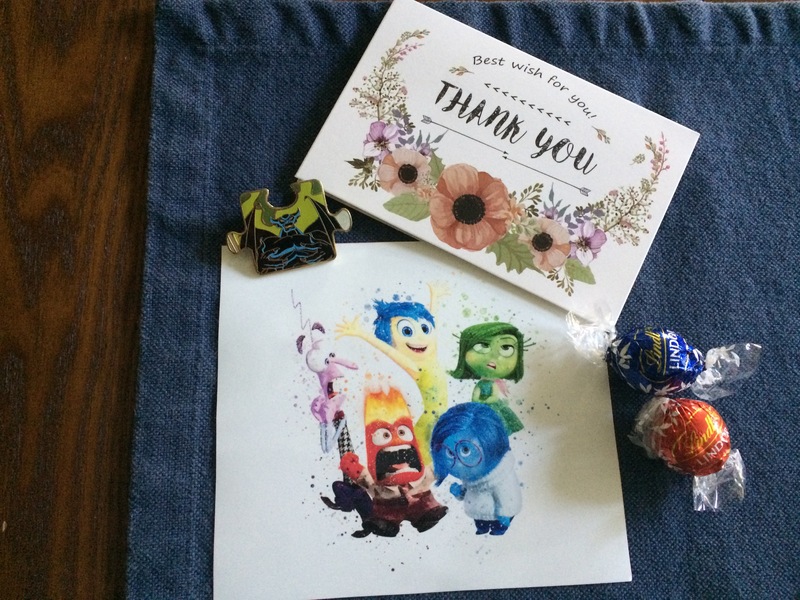 and this amazing Inside Out print! It's already made its way onto my Inside Out wall at work. Thank you so much for the incredible game and the incredible generosity for myself and everyone else! I opened this wonderful package on Christmas morning to find not only the beautiful Bambi pin (which is so precious in person!!! ), but also this Marie popsicle pin (which fits perfectly into my ever-growing collection) and chocolate truffles! Thank you so much @summerskin for your generosity! I hope you had a merry Christmas and I hope you will have a very happy new year!!! watzshakinbacon and slbrabham like this. My package came....but I haven't opened it yet! I will open it tonight and report back. Just home from a nice holiday trip. 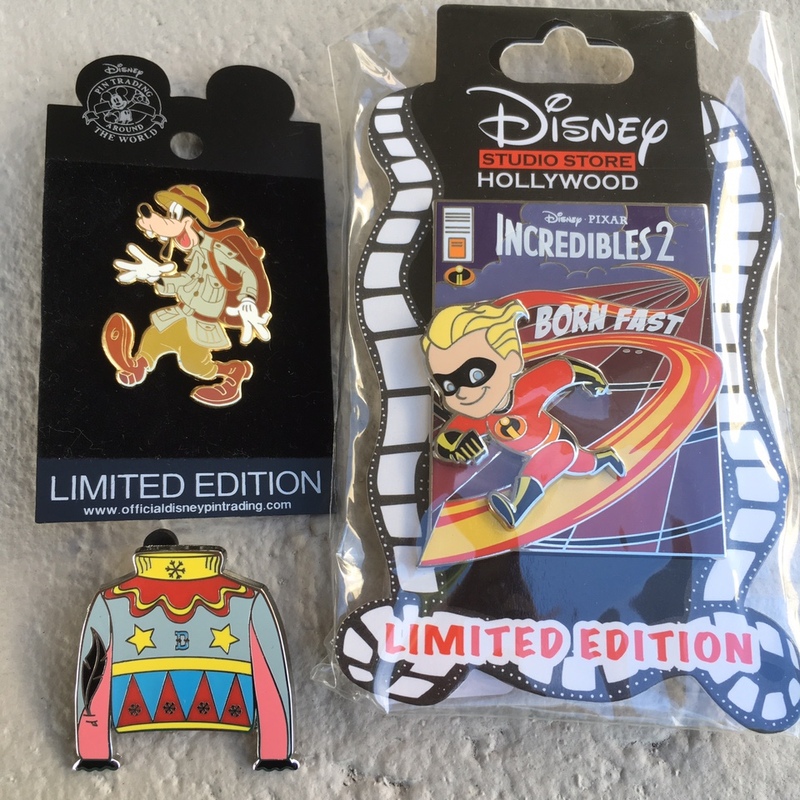 Opened some pin mail to find these wonderful items. Thank you again for this fun game!